The long wait is over! 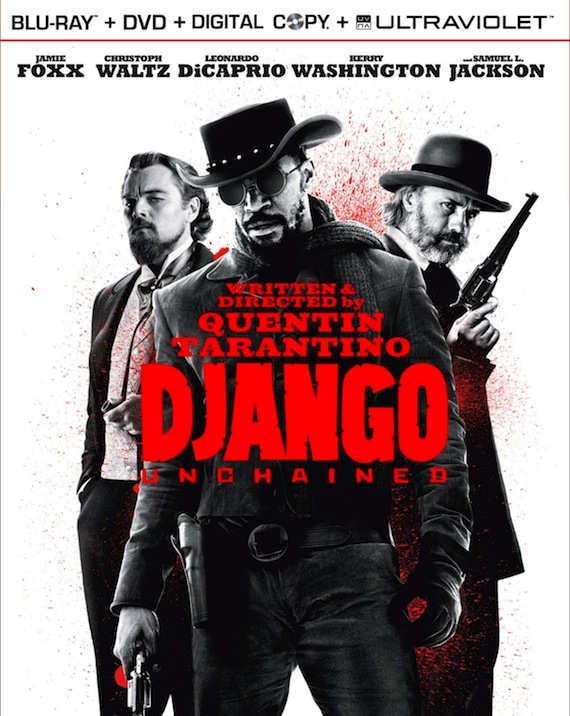 On Tuesday, Django Unchained, Quentin Tarantino’s Oscar Award-winning tribute to spaghetti westerns, finally hits DVD and Blu-ray. Fans will be pleased to know that it’s loaded with special features, from a piece on the horses and stunts to features covering the production design, the costumes and more. Want more? While there’s not a lot of official swag out there for the movie — two different lines of licensed figures have been pulled from the market after public outcry — there is some to be had. NECA produces an official line of far more innocuous t-shirts, which ship for free if you get them from their eBay store. 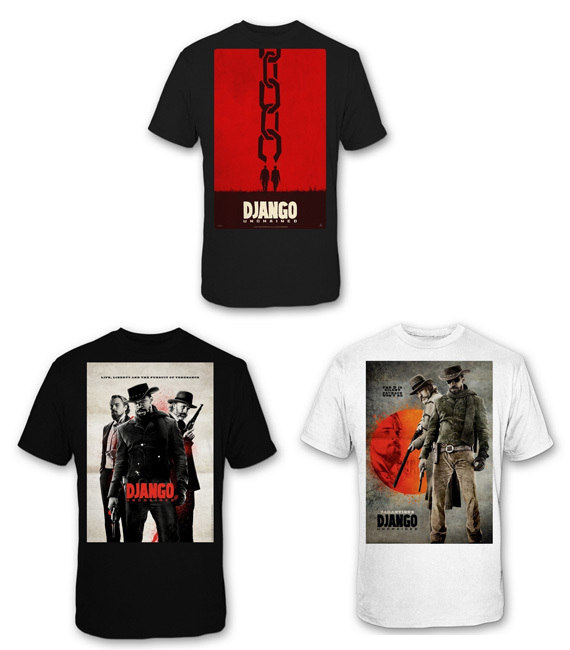 Make a statement with this officially licensed t-shirt from Django Unchained, director Quentin Tarentino’s action-packed tribute to spaghetti westerns. Pre-shrunk cotton knit features vividly screen-printed graphics from the movie. Machine wash and dry. This entry was posted in The HV Blog and tagged django unchained, django unchained merchandise, quentin tarantino by summerm. Bookmark the permalink.